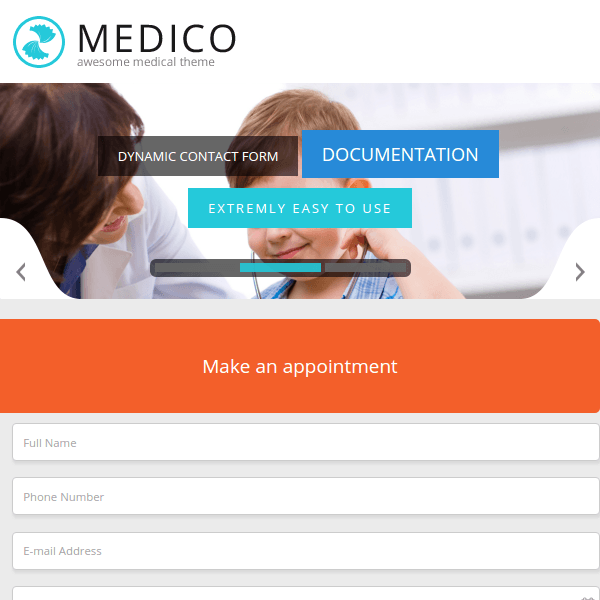 Medico is a responsive WordPress Theme that is specifically designed for the medical and health related websites. 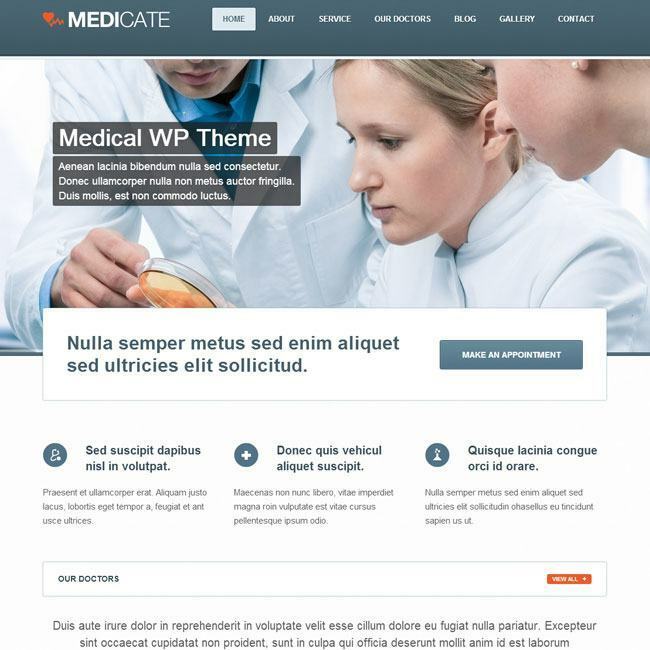 The layout and design of this theme is designed by giving importance to medical sites and can be be customized according to the requirements. It provides with an extremely clean code and provides with an unique features for it. This theme is well tested with the latest version of WordPress and us compatible with almost all the browsers. It provides with the price table builder where one can highlight the pricing details along with the features. Allows to add logo image and text for the website to attract visitors to your site. 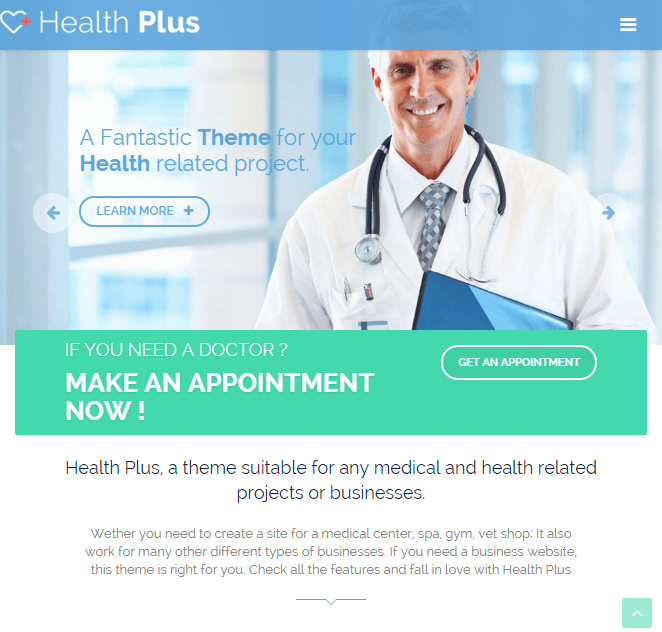 As this theme is based on medical and health websites so this theme also provides with the appointment form that can be filled by the visitors for the appointment. It provides with .po and .mo files and this theme is translation ready. This theme supports different blog and portfolio layouts and to make the choice from the one that is best suitable. This theme comes with different colors, font awesome icons and google fonts that can be applied to different sections of the website. 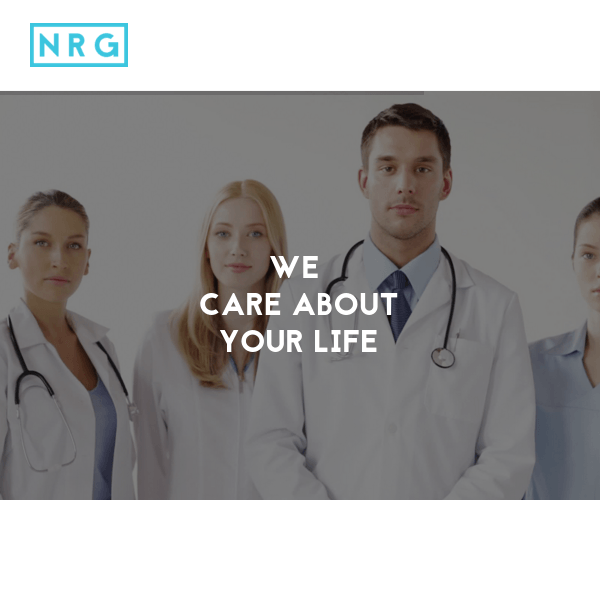 I have my own clinic and I wanted to start a website for my clinic. I was searching theme more than a week and Finally, I found this theme. This theme supports woo-commerce that helped me sell my products and this theme is also WPML compatible mean it is a translation ready theme. It comes with different colors and font-awesome icons. 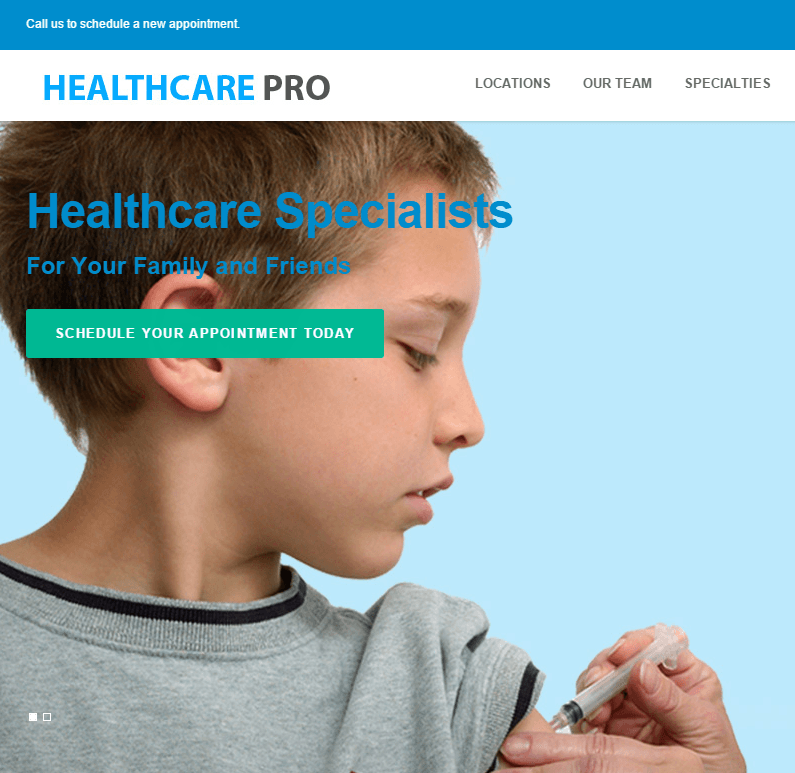 Nice theme for Medical related Website…. !